Did you get your passport back in two months? Hello there! I have questions here. 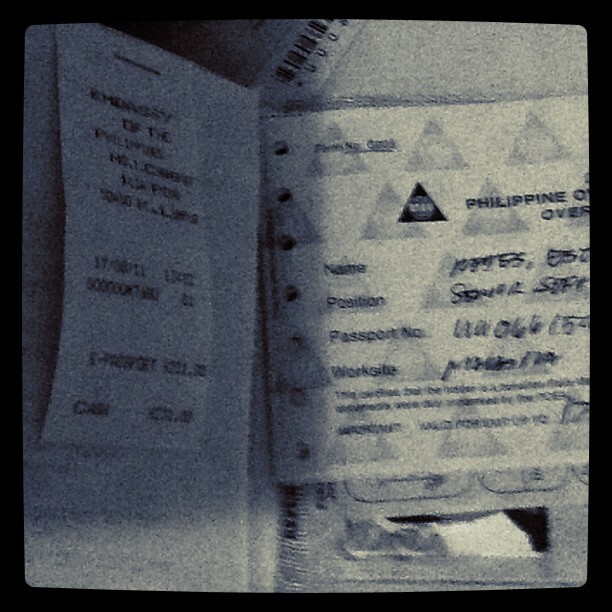 My passport will be expired on June 2013 while my working pass will be up until March 2013. My agency will have my contract renewed maybe around Feb 2013. Will I have any issues in getting a new working pass as I may get my new passport after 2 months? 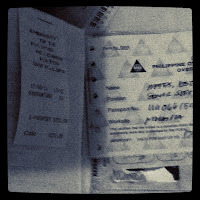 Can they still use my current passport to get a working pass since it will expire on June 2013? Just bothered here. Many thanks in advance! godspeed. For sure you can still use your passport while waiting for your new one in two months time, the only question would be if the Malaysia immigration will accept an expiring passport for renewal. Since yours will be expiring in 4 months time and the renewal would probably be for 1-2 years, I'm leaning to think Malaysia immigration will not accept the expiring passport for renewal. Best option for you would be to renew it before the Christmas break (since you can still use your old passport anyway) so you get the new passport by February. That way, your agency will not make 2 trips to immigration (transfer of working pass, renewal). Thanks for your response. Just an update, my colleague just renewed his passport last Nov and he was able to get it after 30 days. :) Hopefully same thing goes to me. Ur blog really helps..thanks gor posting it..
By the way will they provide the epassport form if ever I would not download it on the net? Hi There, I am going to Embassy next week for renewal of my passport and getting marriage to non-Filipino at the same time. My working visa will expire on January 2013 and my passport is on May 2013,4 months after expiration of my Working Visa. Do you think they will allow me to renew my passport while doing my marriage to them? Thank you and Merry Christmas in advance! I'm not sure of the process with getting married here in KL (never been married, hehe). So don't really know if they will allow or not along with the renewal. But on the matter of your working visa expiring on January 2013, I'm on the fence whether it will be accepted for renewal by immigration specially since your passport expires in May. I'm not confident i'm going to give you the best advise, best to ask your employer/agency more (as I recall you should be renewing your working permit/visa 2-3 months before the expiry). One more thing, which address they are looking for. Working address or house address here in Malaysia? Hi Estelito, do I need to set an appointment prior to going to the Phil. Embassy? You're welcome, glad to be of help. Btw, don't forget to like the embassy's official facebook page! Hi sir, I plan to renew my passport, how long will it take to process the renewal? will it be mailed to my address via courier or should I come back to the embassy after a month or two? Also, could you kindly give directions going to the embassy. I'll be coming from Puduraya Bus Terminal, can I take the LRT from there and which station must I alight nearest to the embassy? Thank you in advance for your help. Hi, they say it takes 30 days for renewal nowadays. I haven't heard of a courier option, but for my case and all the others I know, we went back to the embassy when the new passports were ready. For the courier option, I think it's best you bring it up if you go for renewal, maybe they do special cases but I am leaning towards the security issues if it is couriered. For the bus route, you can use the LRT. In the machines select KLCC (nearest LRT). Go in from the Plaza Rakyat station, alight as Masjid Jamek and proceed to the underground platforms to go to KLCC. Alternative would be to take the new GoKL buses (free buses). Take the Purple bus from Kota Raya (opposite the shopping complex) alight at The Weld to transfer to the Green Bus and alight at KLCC. Once in KLCC, walk towards the KLCC Convention center itself, the embassy would be a few blocks behind Traders Hotel. Thanks a bunch sir for giving some of your precious time answering my questions, Mabuhay ka! God bless you! hi sir, is there a courier here in penang for the passport renewal? if so, can you pls. send me the companys name.thank a lot. Hello, my passport will expire in January 2 2014. I just want to know if i can renew it now, January 2013? I actually asked that a long time ago when I got the receipt itself but forgot the answer to it already :( You may try to give the embassy a call at +603 2148 9989. For Filipinos working here in Malaysia who want to renew their passport, a copy of the employment contract between the worker and the employer along with the copy of the work permit is needed. For valid employment contract, this usually means that it is under a format that is set by the Philippine government. Thanks for giving us some tips on passport renewal. For our kababayans, do take note not to park in front of the embassy, unless somebody is staying in the car. That road is frequented by DBKL/police to issue summons. Almost every hour I think ay bumabalik. I hope our embassy also gives some reminders to our kababayans. Glad my post was able to give you some pointers :) Better park in the nearby parking lots (around 2-3 blocks away) if you will be at the embassy for a long time. meron lang sana akong itanong, paano po ba mag apply nang invitation letter sa Phil embassy KL , kasih my family gusto mag bisita dito, pwede ba online nalang dahil sa Sabah po kasih yung bahay namin... salamat po sana'y matolongan mo ako. Hi, Sorry for being so delayed for my answer. For sabah, the Philippine embassy has some agents there for consular services, best for you to call the embassy directly to inquire on who to go for the invitation letter since you are in sabah. pero ang work visa expired narin..
Ang book Oct 2013 magExpired..
Can teach me what to do please..
Yung ibang form I think sa embassy nyo na sya fill up. Ang process ng lost passport mejo iba sa normal, may waiting period (I think 2-3 weeks) extra once na submit nyo na yung application. Hello Sir, question regarding passport renewal. My passport will expire Oct. 3, 2013 & I am currently here in Kampar for training. Our pricipal Headquartered here in Malaysia will apply for an extension of training visa this April 2013.Will I have problems in the visa if I apply for passport renewal before my current passport expires? Also will the visa effectivity will be carried over to the new passport? Thanks & more power to you. With the Visa carrying over to the new passport: Yes, once you get the renewal passport your agency/employer should initiate a visa transfer from the old passport to the new one.